Vine of David is proud to present this new 300-page anthology comprised of articles translated from the original nineteenth-century Messianic Jewish periodical Edut LeYisra’el. Named after the title of the Hebrew journal, this book contains the core message from every article that testifies to Israel that Yeshua is the long-awaited Jewish Messiah. Theophilus Lucky wrote, edited, and published the journal over the course of approximately ten years. Chaim Yedidiah Pollak (1854-1916), better known as “Lucky,” published the first edition of his Hebrew journal entitled Edut LeYisra’el (Testimony to Israel) in 1888. 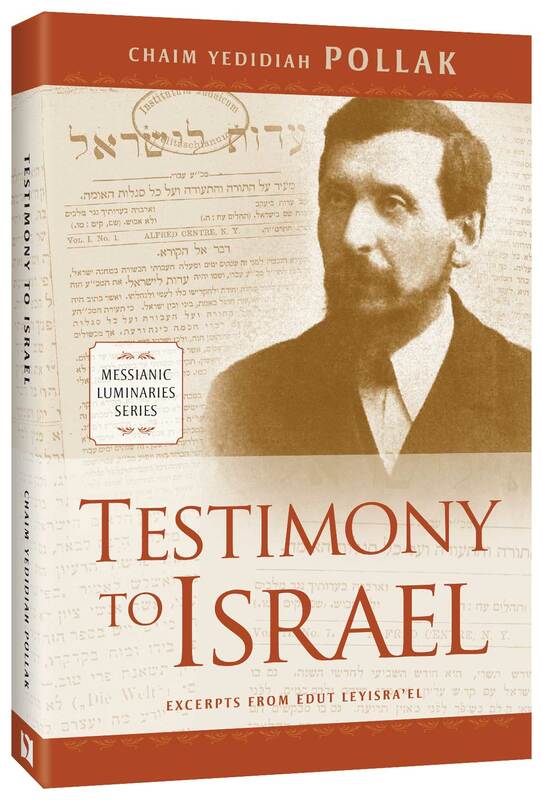 A pioneer of Messianic Judaism a century ahead of his time, Lucky used the journal to actively promote a faith in the Messiah firmly rooted in traditional Jewish practice and interpretation. A critic once said, “Nothing good will come out of Pollak, and in the end he will be a most unlucky man.” Chaim Yedidiah Pollak never forgot the remark, and after he came to believe that Yeshua was the promised Jewish Messiah, he took the name Theophilus Lucky. Lucky was born into the Chasidic world of mid-nineteenth-century Galicia, but he received a broader worldview and much of his higher education at a Reform Jewish seminary in Berlin. In that context Lucky first encountered the Hebrew New Testament and the Jewish Jesus. Lucky spent the rest of his life calling his beloved Jewish brothers and sisters to observe the Torah of Moses and submit to the testimony of Yeshua of Nazareth. This was the message of his publication, Testimony to Israel. As an Orthodox Jewish believer in Yeshua, he lived out that testimony to Israel. His progressive views left him ostracized from most Jewish Christian missionary societies. Lucky led a small group of Orthodox Jewish believers and worked boldly and tirelessly to return Yeshua to the synagogue. For more information about Vine of David and the Messianic Luminaries Series, visit us at www.vineofdavid.org.